All entries must be your own compositions. Fan-art is welcomed as long as it is original an original production. Redrawn/retraced art of official illustrations will not be accepted and will be taken down. All mediums (ie. marker, pencil, prints, oils, watercolor,…) will be accepted, excluding photography. All biddable prints must be limited editions only. Any non-limited edition prints must be sold at a BUY IT NOW only price and do not qualify to be bid on. All artwork must be in good condition and either matted, backed and/or framed. The title of the piece and the artists name must be printed on the back of each entry. All pieces must have a title. Only one copy of each print may be hung in the art show. Any art with sexual content are welcomed as long as the person/character depicted in them as well as the artist are over the age of 18. All art containing adult content is welcome, but must be sleeved or framed in a way that censors the adult content from minors. If you’re not sure if your piece is acceptable please contact the us below and we will be glad to help you in any way I can. All panels are 4′ x 4′ feet (48 x 48 inch). Once the artwork is entered it may not be withdrawn from the show until Sunday morning/afternoon. If you need to leave sooner please make arrangements with the Art Show staff at the show when you are checking in. The art show will open up to the artists on Friday at 10 am and to the public at noon. Please notify the art show staff ahead of time if you will be arriving later on in the day. If you will be having an agent representing you and your artwork please provide them with a letter of authorization and specify to whom payment should be made. It is up to the artist to make sure their artwork is well protected. 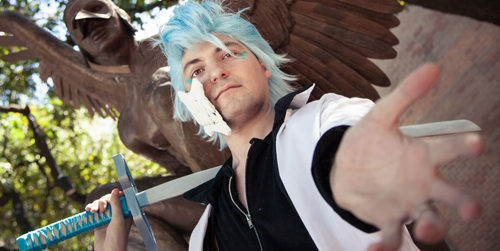 Anime North Texas will not be responsible for any damaged artwork. All art must be picked up by 3:00 pm Sunday. All artists will be paid on in a timely manner. Please take a moment to discuss payment arrangements with the Art Show staff when accepted. Welcome to the Art Show! 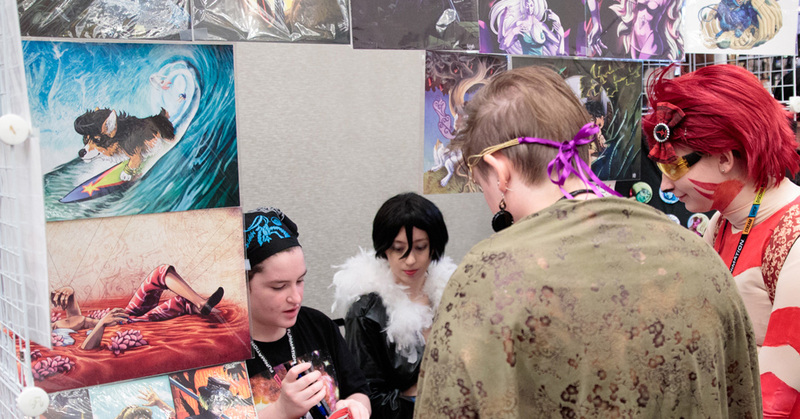 Anime North Texas’ premier event allowing artists to auction off select pieces of art. If you might be interested in exhibiting your artwork with us this year please take a moment to read the guidelines below before contacting our Art Show department, or submitting an application. For arrangements and pricing structure of 3D Art submissions, please email us at artshow@animenorthtexas.com.